$195. 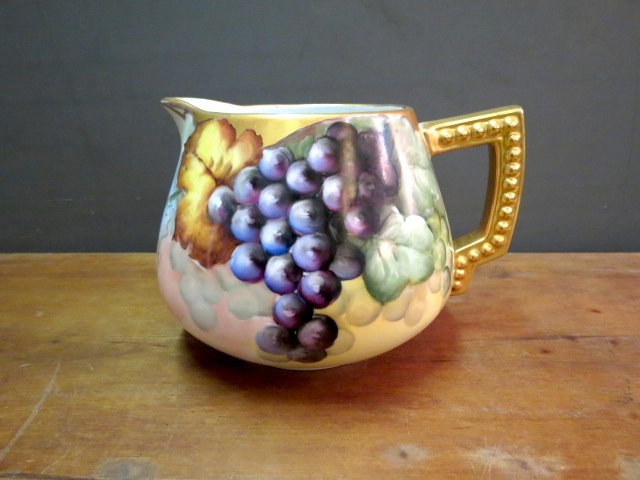 Bavarian hand-painted pitcher with grapes, grape leaves and gilded handle, c. 1900. gorgeous hand painted still life images of green and purple grapes. handle has bead-like details. perfect condition. 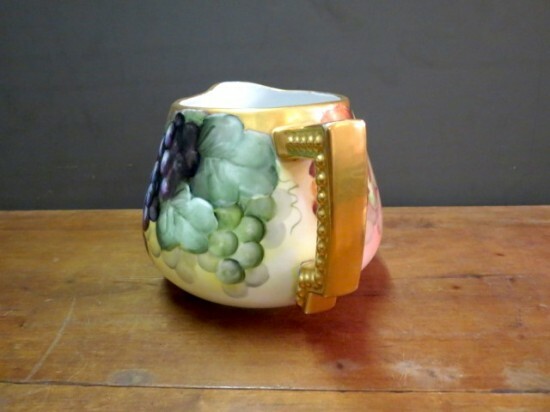 great for serving cider, juice, or milk. 9" from handle to front of pitcher, 6.5" tall, 6.5" wide (without handle). $195. 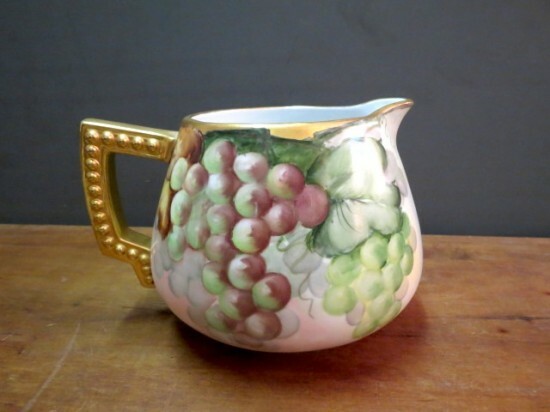 Bavarian hand-painted pitcher with grapes, grape leaves and gilded handle, c. 1900. gorgeous hand painted still life images of green and purple grapes. handle has bead-like details. perfect condition. 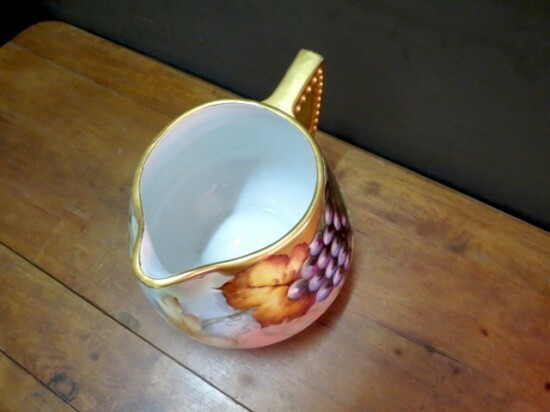 great for serving cider, juice, or milk. 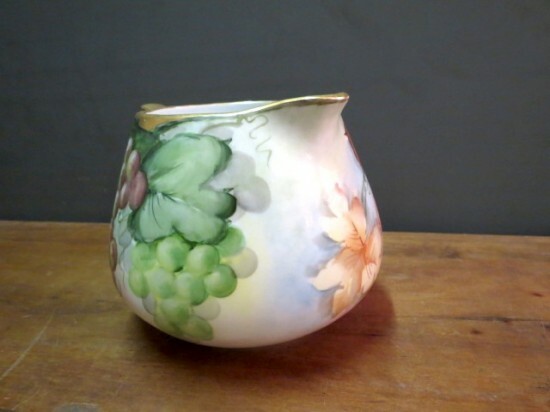 9″ from handle to front of pitcher, 6.5″ tall, 6.5″ wide (without handle).